Dimensions: 2 x 8 x 6.5"
Excellent sturdy product! Our dogs love it and haven't been able to rip it apart. Great product. 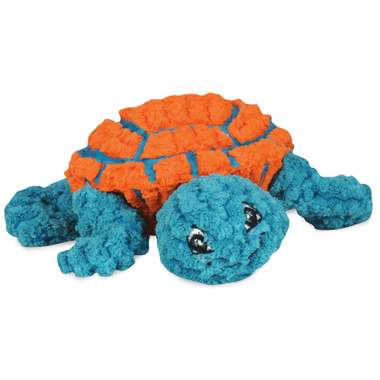 The turtle is both durable and fun. Hugglehounds toys were recommended to me by the owner of as 5 yr old boxer when we brought home our 8 week old border collie. 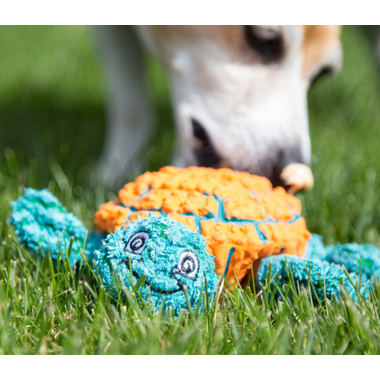 The turtle was recommended as a chew toy, which has really worked. It is small enough for our pup to carry around in his mouth. He has been playing with and chewing on his turtle for 2 weeks and it still looks new. Hugglehounds are also colourful and fun. I highly recommend any Hugglehounds toy.